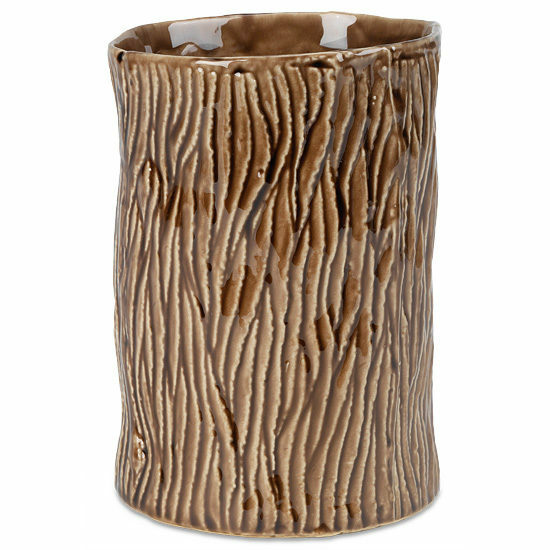 Resembling a rustic tree trunk this woodsy ceramic vase stands 6 ½” tall with a 4 ½” opening. It has a rough finish to give it a masculine look and a high gloss sheen to soften its appearance. The vase adds a natural element to any fresh bouquet. We find it especially appealing when filled with a gathering of blue hydrangeas or golden sunflowers.